MLS#: 8017662 - Courtesy of Hillside Country Homes & R.e. 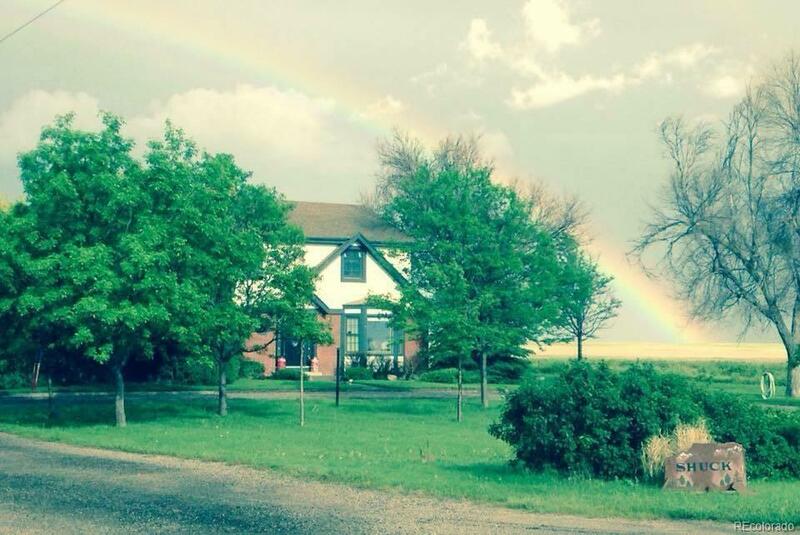 This beautiful country home has everything you've been looking for inside and out! It is a brick/new vinyl siding, maintenance-free exterior home with gorgeous mountain and sunset views from your spacious living room. Enjoy a cocktail in your wet-bar built by Strasburg locals, with under-bar and rope lighting & gorgeous brick interior walls, before moving out to the covered back patio to enjoy the full-moon rising over the Eastern plains. 220v hook-up for a hot tub avail. on patio. The landscaped yard is easy to care for with automatic sprinkler system. Main floor laundry room. Custom granite-tile kitchen with Woodcrest cabinets & roll-out shelves. Kitchen eating space, pantry and formal dining room. The home features 5 large bedrooms and an office. The shop has room for tinkering and storing all of your cars, rv's, tractors, equipment, tools and more! This 40 acre home site can be your forever home!